digisnapmark May 6, 2011, 3:16 p.m. 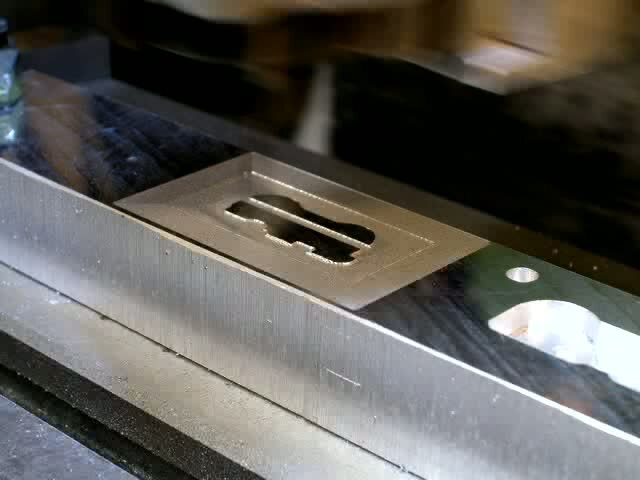 This was a mold I made on a manual milling machine, converted to CNC. The mold was used to make a plastic piece on the VGD70, a vertical grip for the Nikon D70. For scale, the metal bar is 1" thick, and while you can't really see it, the milling bit is a 1/32" ball end mill.